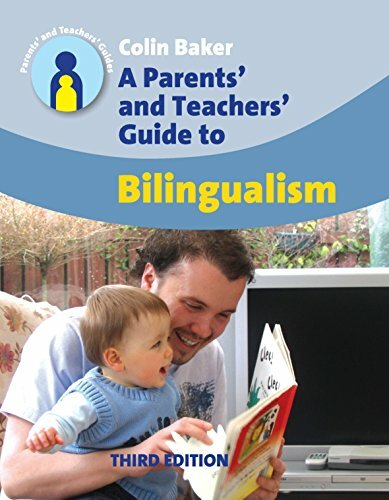 Written in a very reader-friendly style, the book is a practical introduction for parents and teachers to bilingualism. Straightforward and realistic answers are given to a comprehensive set of frequently asked questions about bilingualism and bilingual education. Areas covered include family, language, culture, identity, reading , writing, schooling and issues. Colin Baker is Professor of Education at the University of Wales, Bangor and a Fellow of the British Psychological Society. He has three bilingual children and frequently gives talks to parents and teachers on bilingualism. He is the author of 14 books and over 50 articles on bilingualism and bilingual education, with specific interests in bilingual development in young children and bilingual education. His books include ‘Foundations of Bilingual Education and Bilingualism (4th edition 2006) which has been translated into Japanese, Spanish, Latvian, Greek and Mandarin. He is the Editor of the International Journal of Bilingualism and Bilingual Education.